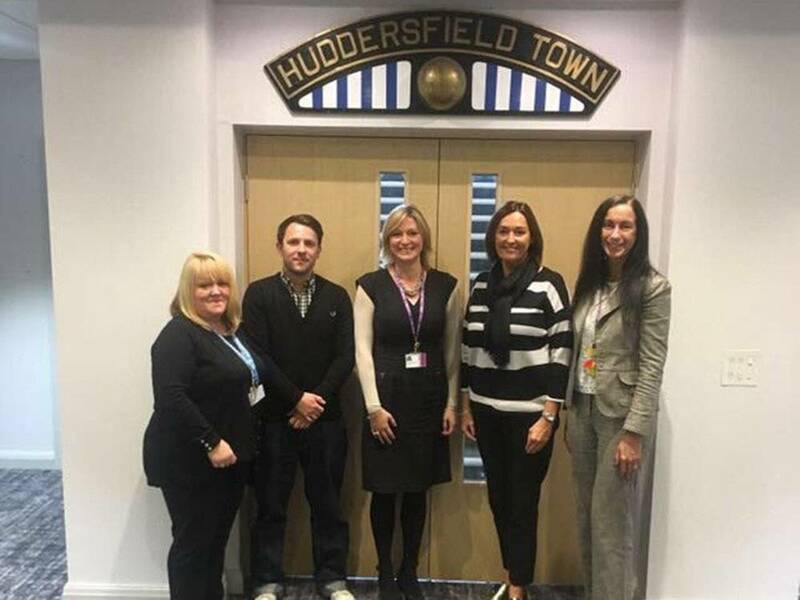 Huddersfield New College (HNC) and Huddersfield Town Association Football Club (HTAFC) today announced an exciting new partnership which will see the award winning College working with HTAFC as the Club works towards its goal of being awarded the Premier League Equality Standard. Following the promotion to the Premier League, HTAFC is working towards the Premier League Equality Standard. This is awarded to clubs who demonstrate a commitment and approach that ensures that everyone can enjoy football. HNC has been recognised as the number one organisation in the UK for its approach to Equality and Diversity, winning the accolade of being the UK Organisation of the Year 2017 in the National Centre for Diversity Grand Awards 2017 and is now providing advice and support to HTAFC. The College beat off competition from major organisations in recognition of how the culture of the College ensures that everyone is treated fairly, with respect and dignity and how the College ensures that young people are given the opportunity to explore and celebrate their own differences and those of others. Zoe Shackleton and Erika Montgomery lead on Equality and Diversity at the College and are now working with the Club to offer their expertise in a range of areas, including a review of policies and procedures. As part of this, Zoe and Erika will be offering training for staff and other groups so that they can reflect and uphold the standards in all aspects of their work. HTAFC has also been supporting the College as it continues its work in this crucial area, for example the College recently took part in Stonewall’s ‘Rainbow Laces’ campaign with staff and student teams wearing laces supplied by the Club. “The Club has always been proud of its inclusive nature, but our new partnership with Huddersfield New College demonstrates our dedication and commitment to excelling in this field.